This week we are featuring Jessie Miller and Will Kuehnle in the Honey Bear classroom. 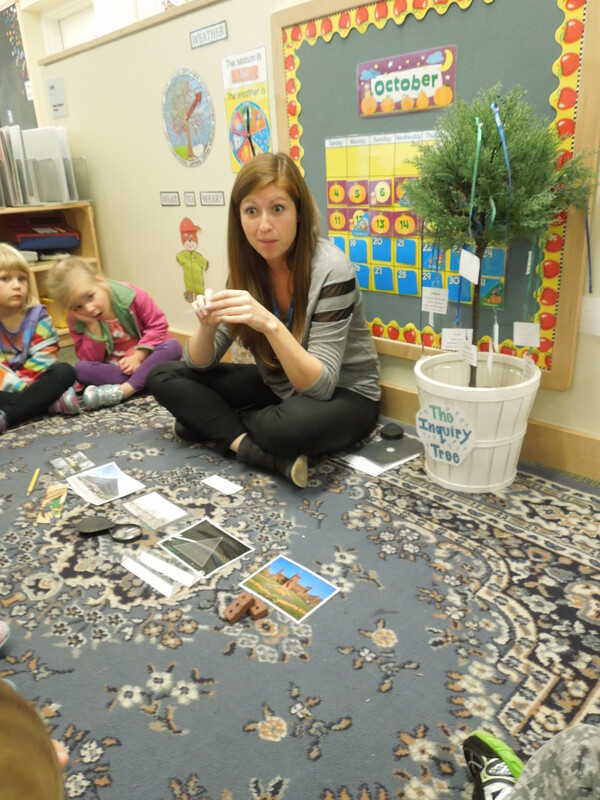 This class of four year olds began the year with a unit on inquiry and question asking. Will and Jessie used this unit as a way to introduce the museums and their vast collections and also get to know their children and gauge their interests. As they visited the different institutions around the National Mall, Will and Jessie carefully recorded their questions and hung them on their class “Inquiry Tree” as a creative display. 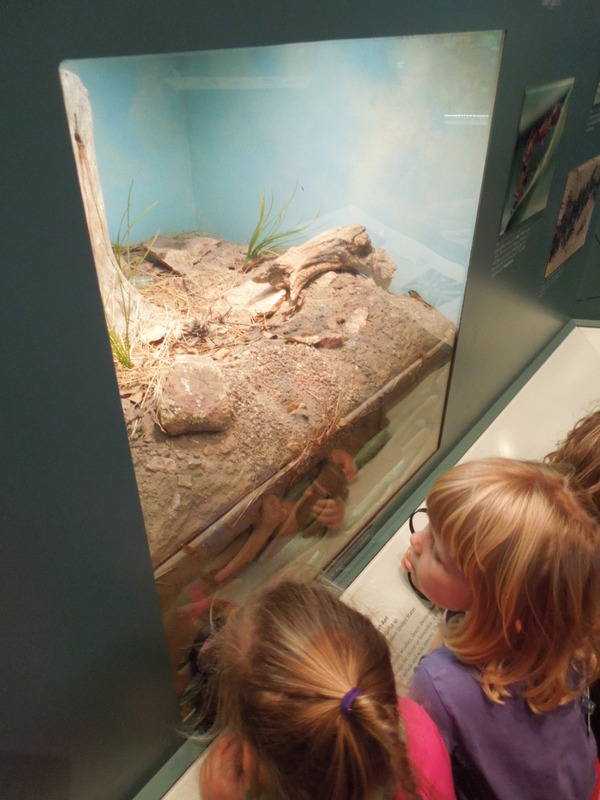 They noticed a lot of the questions could be answered by visiting the Natural History Museum collection and could be connected through the theme of digging. Will and Jessie collaborated to develop their next unit. I was able to join their class as Jessie led the group through Natural History and gave them hints about what they would study next. Below you will find a reflection from Jessie and images from her lesson. What were your topics of exploration? Why did you choose them? Where did they come from? The Honey Bears had two weeks focused on inquiry and curiosity. We began with a lesson about what a question is and how we can use questions to express what we want to know more about. 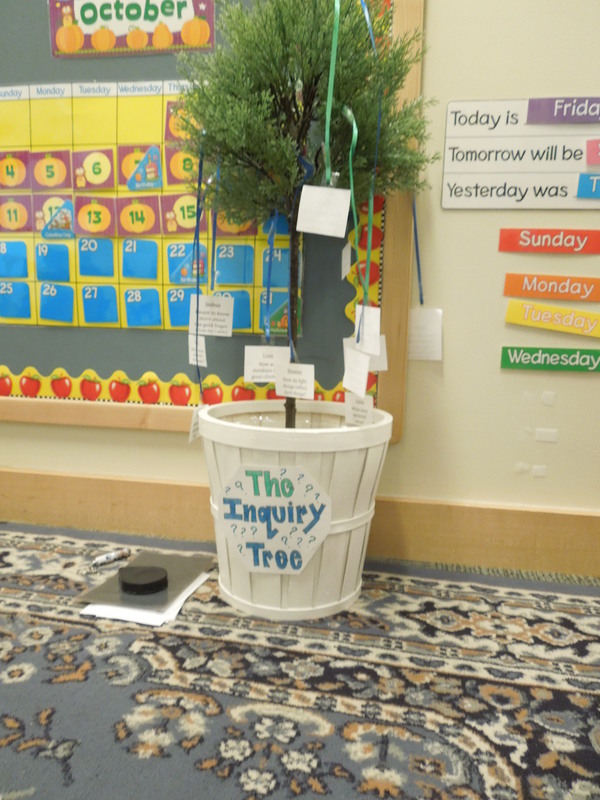 We created an “inquiry tree” in the classroom where the children could hang their questions and we revisited them throughout the weeks. The Honey Bears used their new found curiosity to explore places such as the Botanic Gardens, the Martin Luther King Jr. Memorial Library, the National Gallery of Art’s Sculpture Garden, and the National Museum of Natural History. Why and how did you choose the visit? As the Honey Bears conducted observations and gathered questions about the topics they wanted to know more about, Will and I determined what areas held most of their interests. This led us to the Natural History Museum where we went on a scavenger hunt looking for clues that would lead us to our next unit of study. 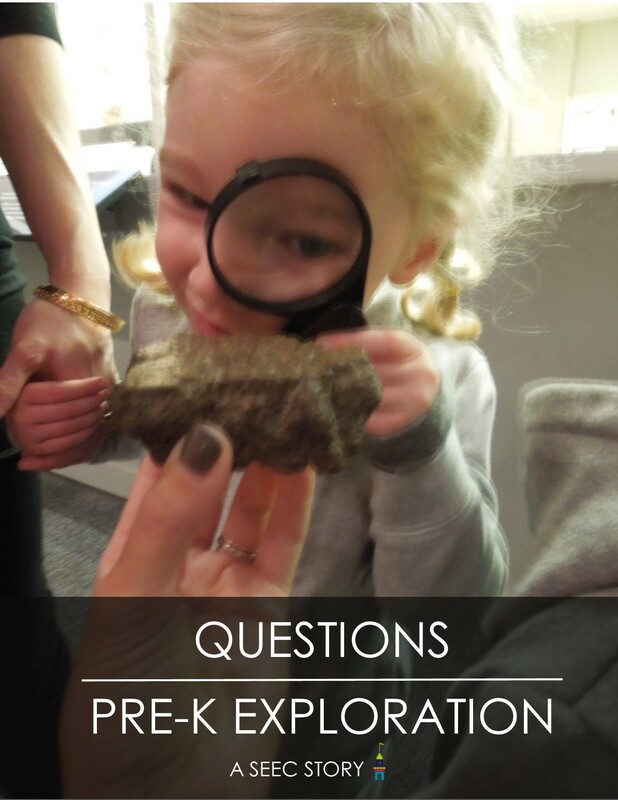 Many of the children’s questions over the weeks had to do with things like dinosaurs, jewels and gold, bones, rocks, and other topics related to digging. The picture clues we used on our scavenger hunt led us to different exhibits in Natural History where we could explore these things and introduce the next thematic unit of “Can you dig it?” to the Honey Bears. I wanted this lesson to be a culmination of the inquiry weeks. It would be a way to review everything we had learned about how to ask questions and touch on some of the questions we had shared over the weeks. I wanted the Honey Bears to be free to explore the different exhibits at Natural History related to our next unit and come up with new questions. I wanted the children to see how their curiosity and questions control where our themes go. What was most successful about your lesson? How did the lesson reach your objectives to expand the topic? What was successful in terms of your preparation and logistics? Most of the Honey Bears have been to the Natural History Museum many times before. However, by giving them magnifying glasses to hold and picture clues to follow, it gave them a different way of exploring the exhibits. They had to use the picture clues to really think about where we were going next and it added an extra layer of excitement to our exploration. In preparation for the lesson, I sifted through all of the Honey Bears questions and comments to determine where their main interests were. As I ventured through Natural History with the children, I brought up some of their previous questions to spark their curiosity and reflect on their previous experiences. What could you have done differently to better achieve your objectives and expand the topic? What was challenging regarding logistics? What recommendations would you have for another teacher trying out this lesson? I think the experience could have gone more smoothly if we had gone to the museum at a quieter time of day, perhaps before it opened so there was less of a crowd. I also felt like I was having good conversations with the children close to me in the front of our train but it was harder for me to communicate with the children in the caboose of the train. We were moving from place to place and there were a lot of people around so next time I would prefer to get there early and have specific spots to stop at so we could all share and discuss our thoughts and questions with the group as a whole. 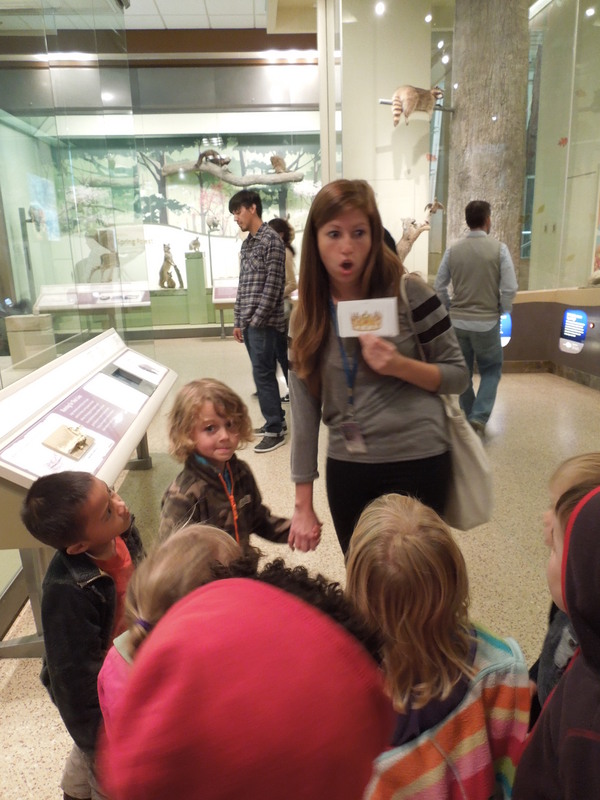 Jessie began the lesson by reminding the children of the different museums they visited around the mall. Will and Jessie used a token object to remind the children of the Museum collection and asked the children to reflect on their visits. 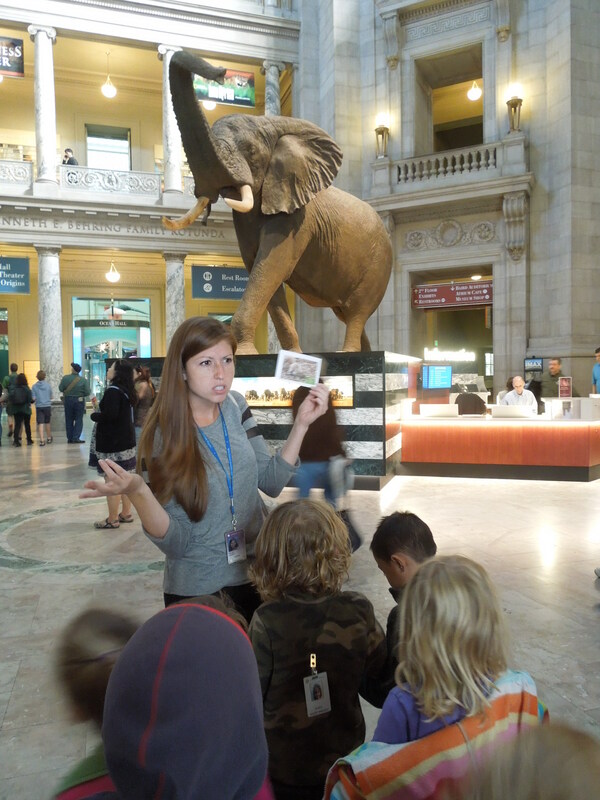 Jessie then reminded the children that they had asked a number of really great questions and read some of the questions off of The Inquiry Tree that related to the Museum of Natural History. She explained that a lot of the questions they had could be answered at Natural History so today they were going to go on a hunt for answers at the museum. After locating their squirrel and looking at the other digging mammals, Jessie revealed the next image, a crown! The group discussed the different locations in the museums where they might find a crown and the materials that they are made of. 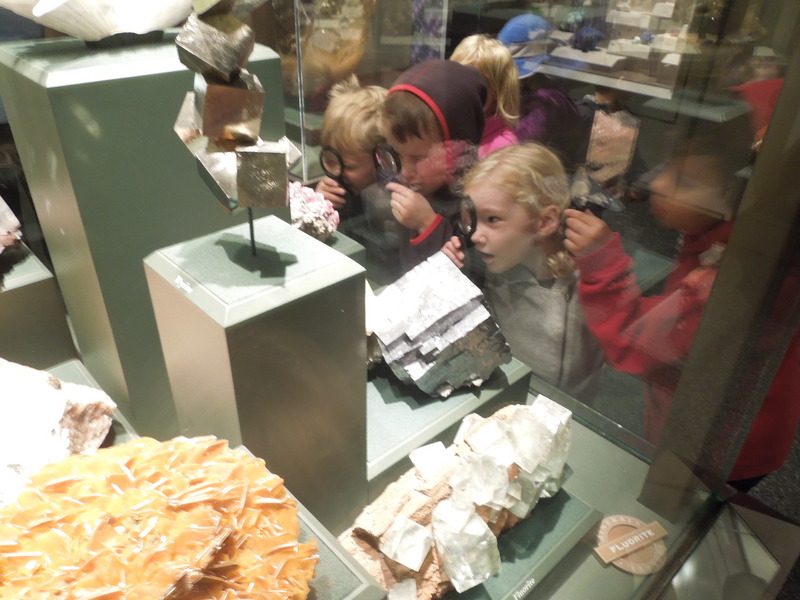 The children decided to go up to the Gems and Mineral Hall to investigate. The students did some close looking with the magnify glasses and found crowns, gold and uncut gems. Their next clue took them to the Live Insect Zoo to see insect digging in action. Their final stop was to the Last American Dinosaur Exhibit to learn about paleontologists and what they are able to dig up. One of the paleontologists came out and talked to the children about his job and brought out a real fossil for the children to examine. The students all took turns looking very closely at the fossil. During the next week Will and Jessie formally introduced the class to their new theme: “Can you dig it?” They will be spending a few weeks doing in depth explorations in digging tunnels, archaeologists, and so much more! Check out our Facebook, Twitter, Instagram, and Pinterest for more ideas from their unit on inquiry and digging! See you in two weeks with our next Teacher Feature!